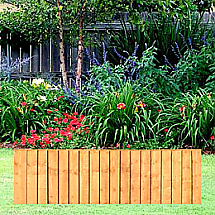 A high-quality well-built traditional 6ft X 5ft Lap Fence Panel dip-treated and fitted with strength beams for added wind resistance. Fence Rite stock, install and supply 6ft x 5ft lap fence panels throughout the West Midlands. This type of fence panel is great for privacy as it height adds that extra element of enclosure without letting onlookers see in. 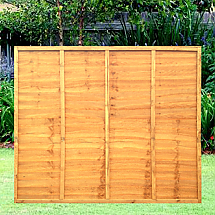 Therefore our 6ft x 5ft lap fence panels are great if you are looking to create your ideal garden behind closed doors. The lap fence panel is a very popular choice throughout the UK and Fence Rite stock the item at a very competitive price. 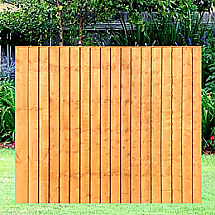 Our 6ft x 5ft lap fence panels all come dip treated to elongate the life span of the panel. 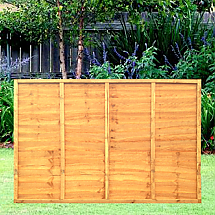 This fence panel can be delivered to you for a small delivery fee.